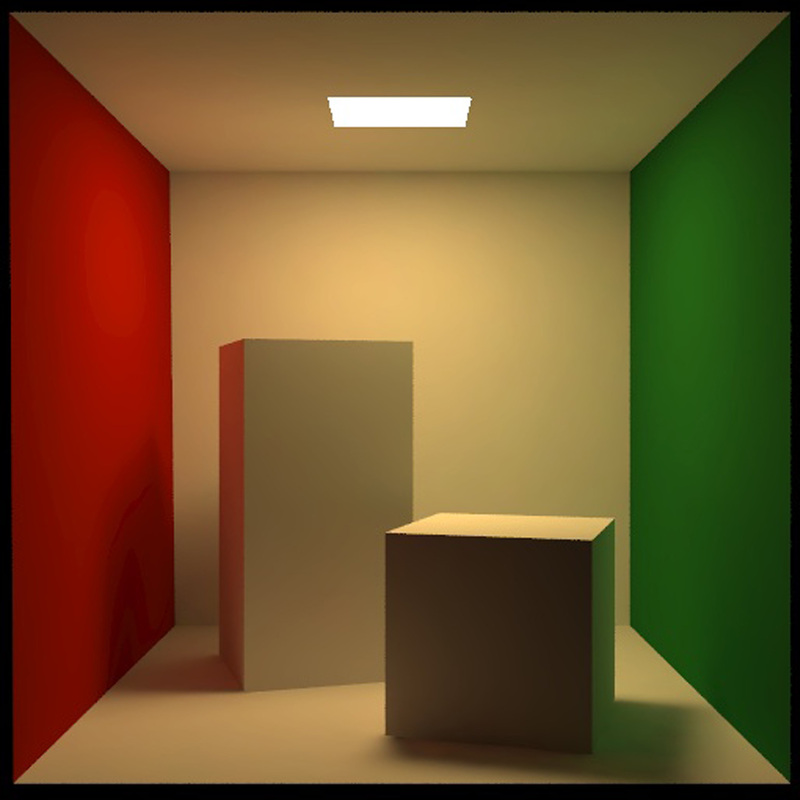 The Cornell Box is a simple physical environment in which lighting, geometry, and material reflectance properties are measured and then compared to a computer generated model in order to test simulated lighting accuracy. 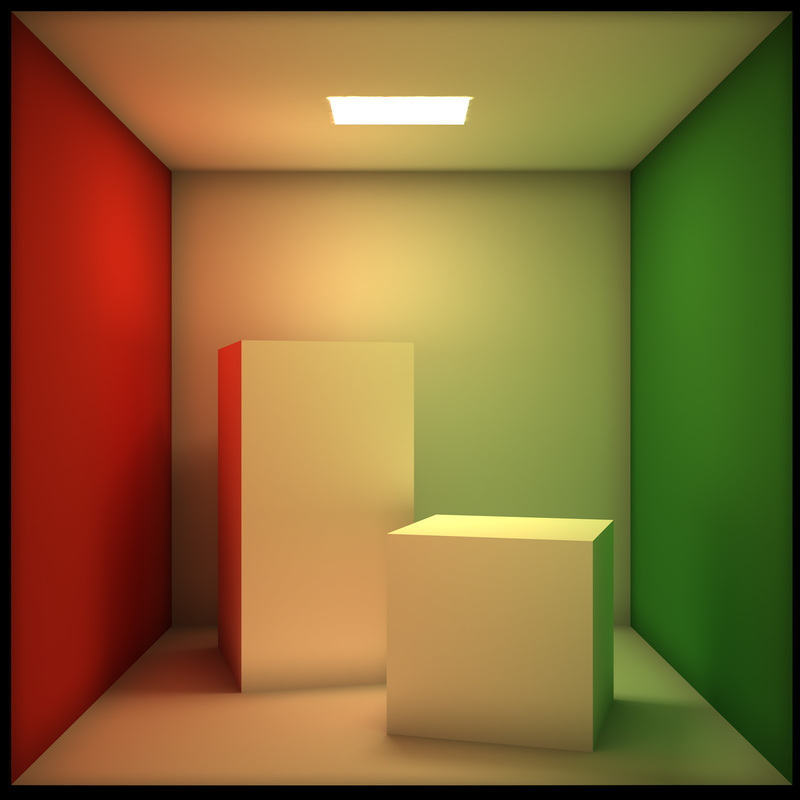 This paper focuses on the reconstruction of a virtual Cornell Box model and all virtual lighting tests associated with it. The image on the left (low resolution) is the original Cornell Box for reference purposes. As you can see, our virtual model is quite close with the exception of the brighter rectangular faces on mine, which is most likely a result of not closing off the virtual Cornell Box model front view face. This was done in order to allow the camera to look inside the set however raytracer features these days now allow us to render scenes of interiors without removing facing polygons. You can see a physical reconstruction of the Cornell Box in another related project here.